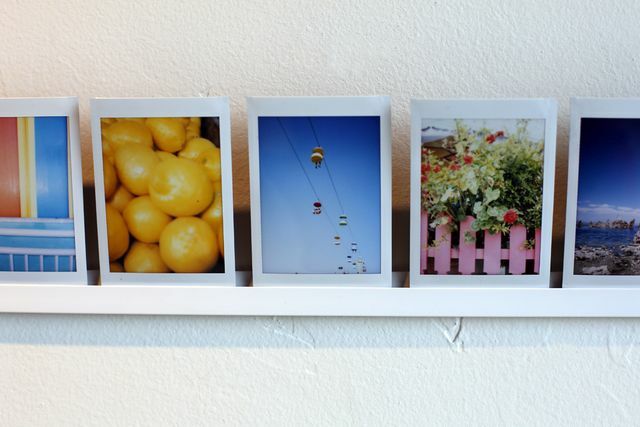 How to hang pictures on a wall without nails? 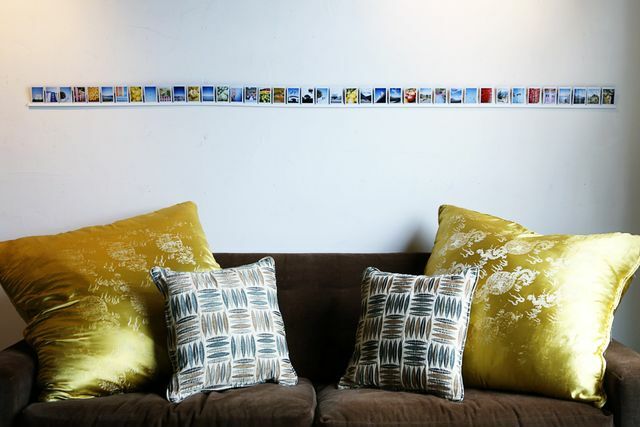 The question is how to hang photos on the wall withoutMany people ask for nails, especially if the wall is concrete and here you can not do it with a stud or button. Of course, there are special gallery suspensions on sale, but is there an option that is quite simple and cheap, which you can do yourself and post dozens of photos on it? We answer - there is! 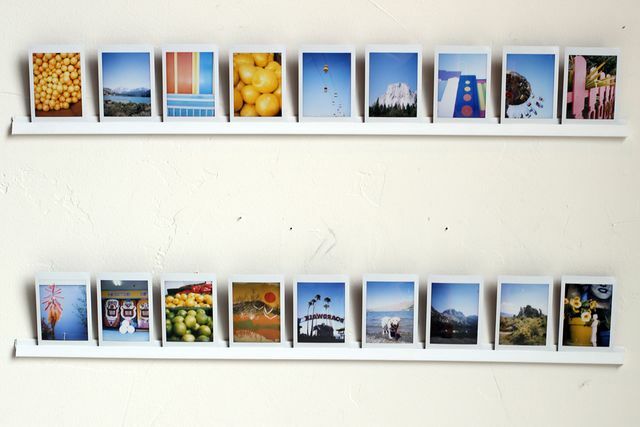 With almost no effort, you can place a gallery of photos on the wall with your own hands, and you will not need frames and will not need to make holes! 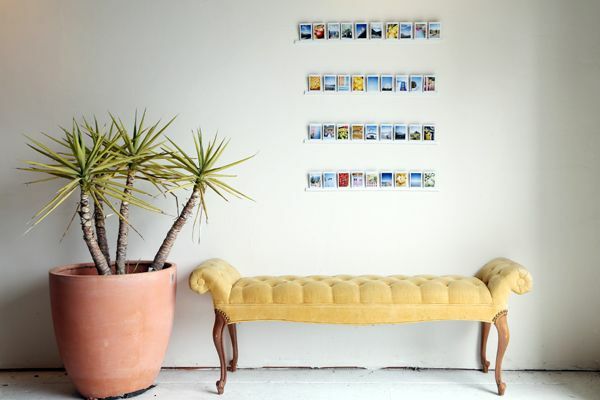 As a photo holder we offerUse a molding rod or ceiling molding! Molding is not always suitable, because you need a certain shape with a slot. Try to find a suitable option among the profiles of the starting moldings, with which the walls are trimmed with plastic panels. A thin ceiling cornice made of plastic can also come up. Cut the bar to the desired length, from the eaves removeAll the extra details. Do not touch the wall at all, because the bar must be glued. If the wall is a smooth wallpaper or painting - use a good two-sided adhesive tape along the entire length of the molding, but if the wall surface is corrugated, then the adhesive tape can quickly peel off, which means you have to put the bar on liquid nails. 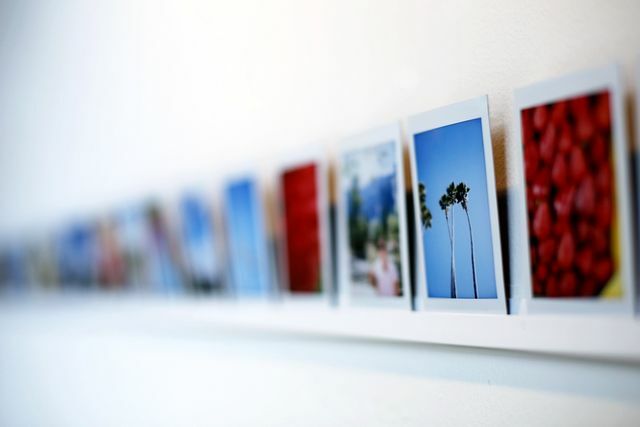 Especially stylish the bar will lookSmall images of the Polaroid or Instax format, but you can put on public display absolutely any collection of photographs, postcards and pictures. The bars of the molding can be arranged in rows under each other, in a single line, to decorate them with the corner of the room. Most pleased that you can quickly change the exposure of photos! Make special collections according to color, theme, holidays and special dates.